Craft rolls are the perfect creative inspiration for craft projects at school and at home. 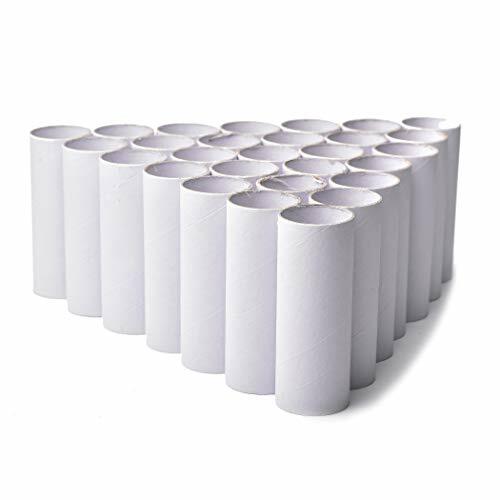 With their ability to be customized in so many different ways, these cardboard tubes provide endless possibilities for the imagination and can help kids develop stronger hand and eye coordination. Glue, cut, paint or even press the craft rolls to transform them into many different creations, from adorable animal figures and funky robots to birthday crowns and much more. Combine them with other craft supplies such as pre-cut paper, felt, stickers, and googly eyes to release your kids' imagination or your own. This 24-piece set offers hours of artistic creativity that can be as simple or complex as you choose. If you're looking to replenish your craft supplies for the season, we've got you covered. These cardboard craft rolls are a staple for kids' crafts and DIY art projects! Simply use your imagination to make them unique! Use to make instruments, telescopes and more! The possibilities are endless when you put your creative mind to it. Cardboard. (2 dozen per unit) 4 1/2" x 1 3/4" diam. 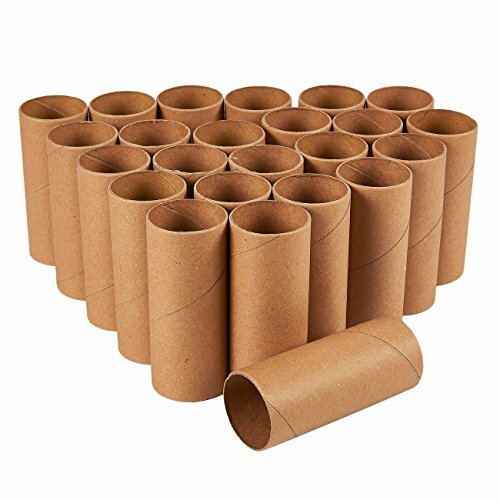 These sturdy cardboard craft rolls are a staple for kids' crafts and DIY projects! Make toy cars, telescopes, binoculars, puppets, and more. 8"L x 1 5/8" Dia. each. 24 natural brown, 1 mm thick rolls. Smooth, clean surface. Thicker and stronger than standard rolls! Ready to use and easy to work with. Perfect for STEM and Arts and Crafts curriculum. Excellent for practicing fine motor skills. 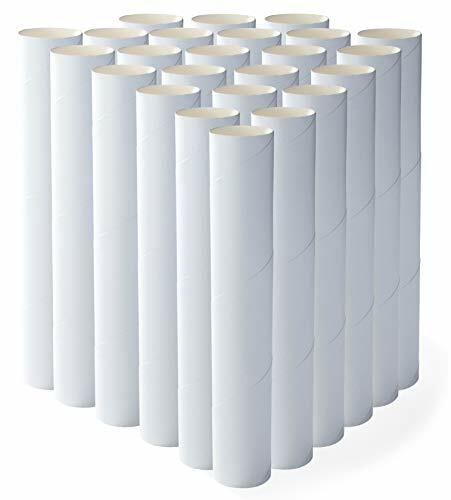 These sturdy cardboard craft rolls are a staple for kids' crafts and DIY projects! Make toy cars, telescopes, binoculars, puppets, and more. 12"L x 1 5/8" Dia. each. 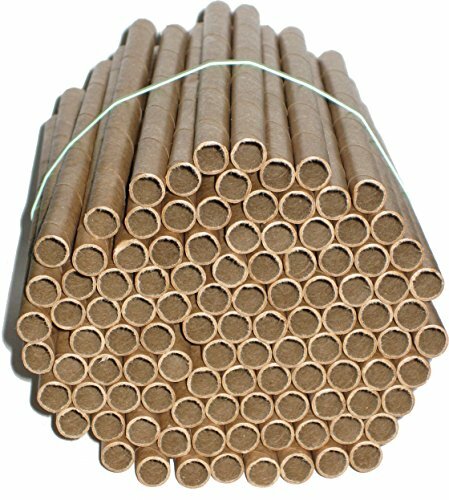 20 natural brown, 1 mm thick rolls. Smooth, clean surface. Thicker and stronger than standard rolls! Ready to use and easy to work with. Perfect for STEM and Arts and Crafts curriculum. Excellent for practicing fine motor skills. Craft rolls are the perfect creative inspiration for craft projects at school and at home. 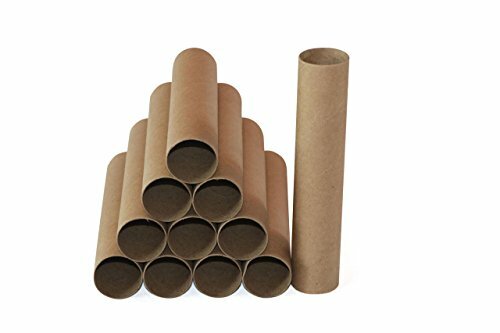 With their ability to be customized in so many different ways, these cardboard tubes provide endless possibilities for the imagination and can help kids develop stronger hand and eye coordination. Glue, cut, paint or even press the craft rolls to transform them into many different creations, from adorable animal figures and funky robots to birthday crowns and much more. Combine them with other craft supplies such as pre-cut paper, felt, stickers and googly eyes to release your kids' imagination or your own. This 24-piece set offers hours of artistic creativity that can be as simple or complex as you choose. Chenille stems inside the rainstick interact with cascading beads to mimic the sound of falling rain. 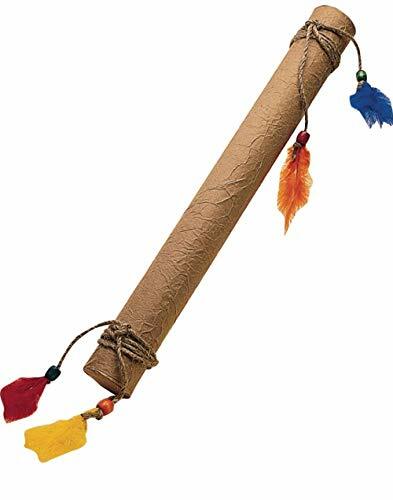 When the rainstick has been put together, decorate it with kraft paper, jute, beads and feathers. Kit contains everything needed, including tubes, kraft paper, beads, jute, chenille stems, tape, feathers, non-toxic glue and instructions. Pack of 24. Size: 74" x 21"74\" x 21\"